Albany, NY - September 12, 2013 - Governor Andrew M. Cuomo today announced that New York State’s Medicaid Redesign Team (MRT) Supportive Housing initiative will undertake significant investments to create new affordable housing units and provide needed support to nearly 5,000 high-need individuals, following significant Medicaid savings totaling more than $4 billion achieved over the last year under the MRT initiative. Additionally, over the next five years, the State is on track to save a combined $34.3 billion. The MRT Supportive Housing Initiative is essential for New York State to achieve the “Triple Aim” of better health, better care, and lower costs for traditionally underserved populations. When phase one of the initiative is fully implemented, it will provide nearly 5,000 individuals with access to supportive housing through capital investments to construct new supportive housing units, and rental subsidies and service supports for New York’s high-need Medicaid members. The Affordable Housing work group, which was created in Phase 2 of the MRT initiative, is comprised of more than 40 stakeholders. The investments in new housing units and rental subsidies will increase housing options for vulnerable residents receiving Medicaid, including frail elderly New Yorkers living in the community, individuals with serious mental health and substance abuse disorders, those living with HIV and AIDS, individuals with developmental disabilities, and the chronic homeless. To evaluate the program’s effectiveness in reducing Medicaid costs, the State Health Department will use a supportive housing data collection tool to track users of all the MRT Supportive Housing programs. Established in 2011 by Executive Order by Governor Cuomo, MRT was comprised of stakeholders and experts from throughout the state who worked cooperatively to reform the state’s health care system and reduce costs. The MRT has become a national reform model for cost-effective, high-quality and patient-centered health care. In the past year alone, New York has saved $4.6 billion, while adding 154,000 people to the Medicaid rolls and improving health outcomes. For more information on MRT, go to http://www.health.ny.gov/health_care/medicaid/redesign/. 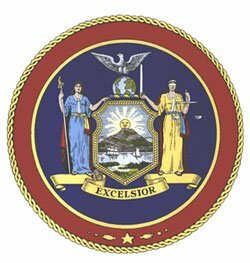 Subject: LongIsland.com - Your Name sent you Article details of "Governor Cuomo Announces Medicaid Redesign Team Initiative to Provide Housing to 5,000 High-Need Individuals"